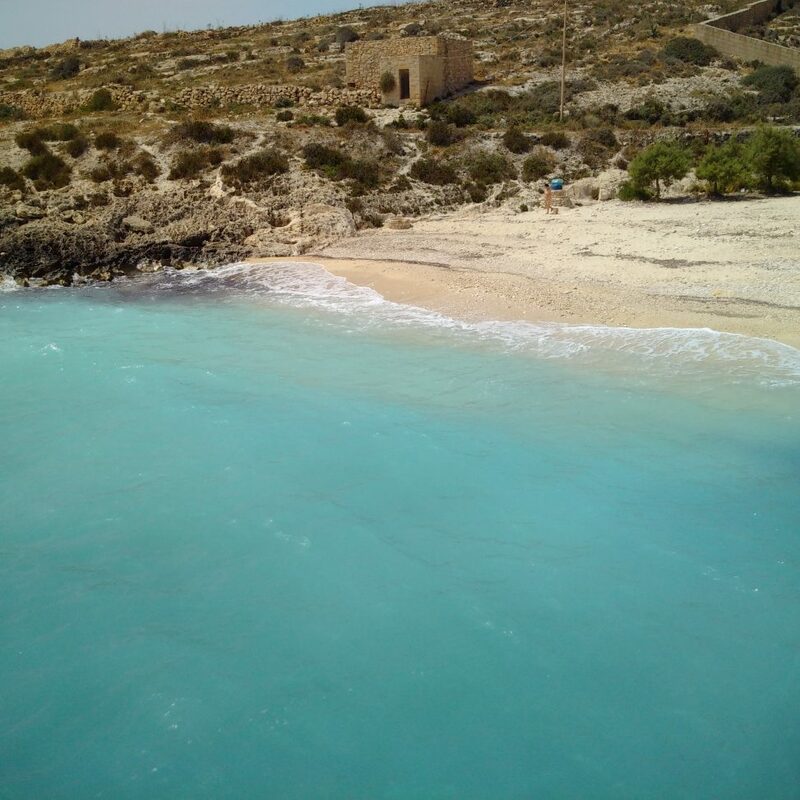 What a nice place is Ħondoq ir-Rummien. Look at the color of the sea. Intense turquoise. 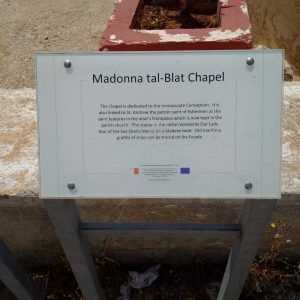 It’s easily accessible from Qala by car. Road is large and the tarmac is pretty new. In summer it’s a very popular swimming spot both among locals and tourists. Here interesting information provided by Wikipedia. Right on the cliff overlooking the small beach there is an old chapel entitled to ‘Madonna tal-Blat’ (Our Lady of the Rocks or Madonna of the Rocks). According to the info board this chapel is also linked to St. Andrew, patron saint of the fishermen.